My dream cruise would be to | Grand Turk, Turks & Caicos and the Dominica Republic! This would be quite the place for stunning scenery! I would love to cruise to Aruba, Bonaire, Curacao, Cartagena, Key West, Grand Cayman. Belize is nice, too. I would love to take an Alaskan cruise. I would love to take a cruise to the Caribbean. I have not been on a cruise since 2009, but it was for the week-end. I’d love to try a seven day cruise next. I’d love to go to Caribbean, Alaska, or Hawaii. I would go to Hawaii of course!! I’d love to go somewhere in the caribbean! I would love to go on a Caribbean cruise! I would go to the Bahamas!! I would love to take my wife on a Mediterranean cruise! Never cruised before. Would love to go to the Caribbean. I’d love to do Caribbean cruise. I’ve had this idea that an Alaskan Cruise would suit my fancy. But who would I take with me? My parents are doing this summer 2018 and it sounds fantastic, good luck! I’d cruise to Alaska or Europe! I would like to go on one of the Alaskan Cruises. I haven’t gone on a cruise yet but I imagine this would be AWESOME! Alaska with my family would be awesome. I have had one opportunity for a 4 day Cruise with BFF Terry Stevens from Los Angeles, CA to Ensenada, Mexico. My favorite part was the onboard art exhibit/auction & socialization with collector and other member of the cruise. But I can’t leave out the part that you only have to unpack once for the whole trip!!!!! Onboard gambling was lots of fun!!! I could go on & on so much fun! #SpreadSomeJoy Good Luck to all!! Thank You for the opportunity to win such a fantastic prize! Terry & I both had cancer surgery within the last 12 months this would be such a delight to win!!!! 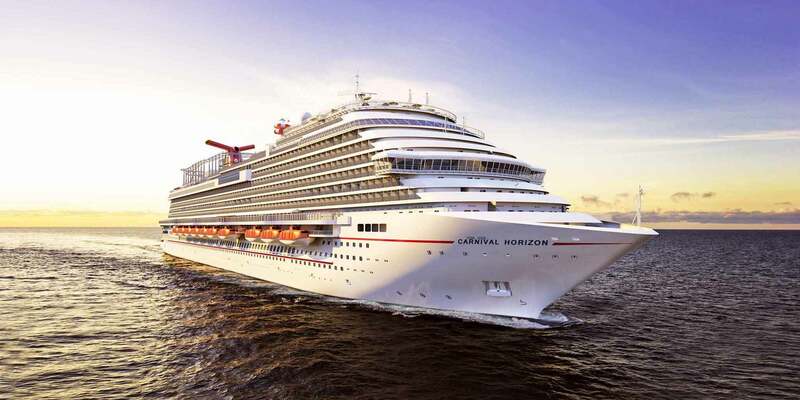 Wow, there are a lot of great destinations for Carnival Cruises. After looking a few over and considering where I live, I would probably pick an Eastern Carribian cruise. Nassau looks just beautiful from all the photos I’ve seen. I have never been on a cruise. I dream of beaches, sand surf. In the Midwest we dont have oceans of course and although there is no place like home, there is also no place like a beach! youre running disqus here and it wont let me do my name. I would love to go to the Bahamas with my husband! A cruise to Alaska would be AWESOME! I would love to go either to St Kitts or to the Amalfi Coast! I would love to explore the Carribean on a cruise. A cruise that takes me to Bonaire and lets me stay there a few days would be a dream! That was the best beach I’ve ever experienced in my life. I would love to take an Alaskan cruise but would be happy to cruise anywhere actually! I think we read books about and see so much on television about serial killers, some people become obsessed with gaining more information. I will definitely love to join as well. The 311 Caribbean Cruise is my dream!!! We have never been on a cruise and could really need a vacation from the constant “sick” life we have here. Just a few days to be somewhere new and relax getaway to reset us mentally. Honestly anywhere would be lovely and very appreciated and set to a memory never forgotten. I see and hear there are always so many activities and places you want to be on cruises. This is important as I cannot drink but to be able to have just as much fun and availability as this. We live in the Valley of Arizona.